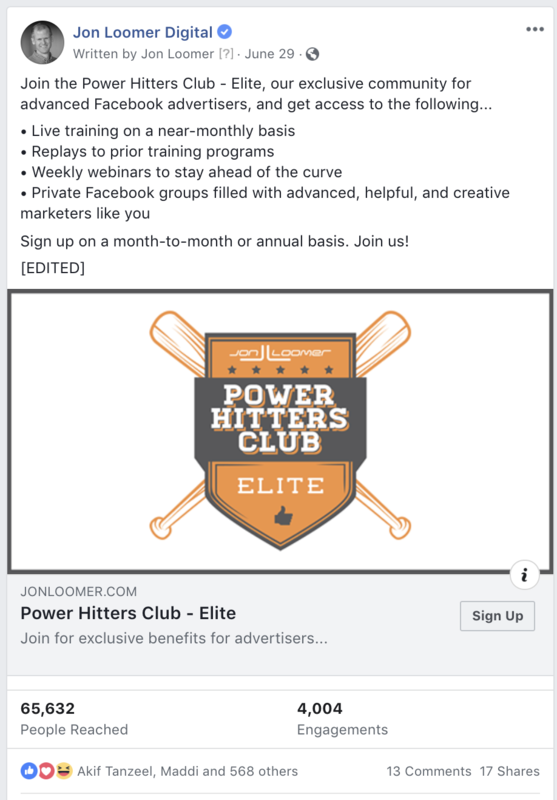 One of the most common problems I hear from Facebook advertisers revolves around editing ads (or posts that are being promoted in ads) and retaining the social proof. How do you do it? First, credit is due. Peter Frisch, a member of the Power Hitters Club – Elite (my private membership), posed this question and uncovered the solution. This post is inspired by his research. There’s a lot to cover here. Let’s take a closer look at the actual problem and how it’s solved for published and unpublished posts. Editing Ads: What’s the Problem? You start an ad. It’s doing well. Then, a few days later, you spot a typo. Or maybe an area that can be clarified. This ad has been running for multiple days, and you’re getting a ton of comments, likes, and shares. You could just start over and create a brand new ad, but that social proof is valuable. So… How do you get around this?? There’s a simple explanation for when you can and can’t edit a post. You can’t edit a post that is associated with an active ad. In fact, you can’t edit a post that is connected to an ad, even if that ad is inactive. You can only edit a post if it isn’t currently connected to an ad — whether it is active or inactive. When you select a post to promote, there is a column for the post ID. This list includes both published (they live on your Facebook page) and unpublished (they don’t) posts. As you can see, I can’t edit that post. The reason is that this post is connected to an ad. That ad isn’t even active anymore, but the fact that it is connected to an ad is preventing me from editing it now. Remember that this ad is not active. If it were, I’d want to deactivate it first since I’d otherwise mess up my metrics. Then, publish it. If I were to edit the post, go back into the ad and change the post back, I could then publish and reactivate with the edited copy. As you can see above, that edited post retains the original social proof. You’ll follow a similar process for unpublished posts, but the editing is a little less straight-forward. First, find all ads that are promoting the unpublished post that you want to edit. It may only be one, but it’s possible you have created multiple ads promoting the same post. 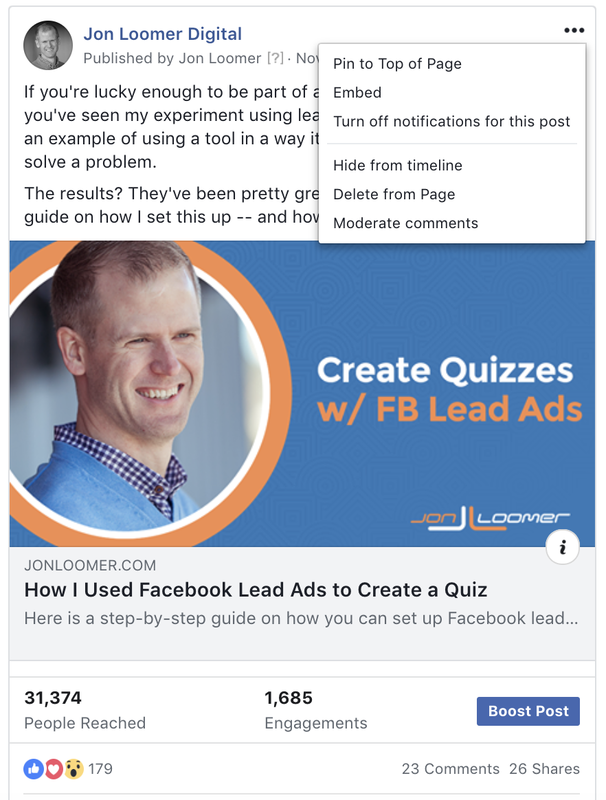 From within the ad, select the option to view the Facebook post with comments. When that tab opens, you may need to add “business.” before “facebook.com” in the URL to open it in Business Manager (assuming you use Business Manager). Keep that extra tab open and go back to the ad(s). Make sure these ads aren’t active and then change the post that is being promoted. Then publish. If you now change the post promoted by the ad(s) and publish, you will be able to promote the edited post while retaining social proof. That was a lot, but let’s knock this down into the basic steps. Of course, instead of reconnecting, republishing, and reactivating, you could simply create a completely new ad connected to the edited post as well. As simple as this concept is, it’s extremely easy to miss. As a result, it’s created an insane amount of unnecessary frustration for advertisers. Hopefully, this helps. Have you been editing ads in this way? Let me know in the comments below! 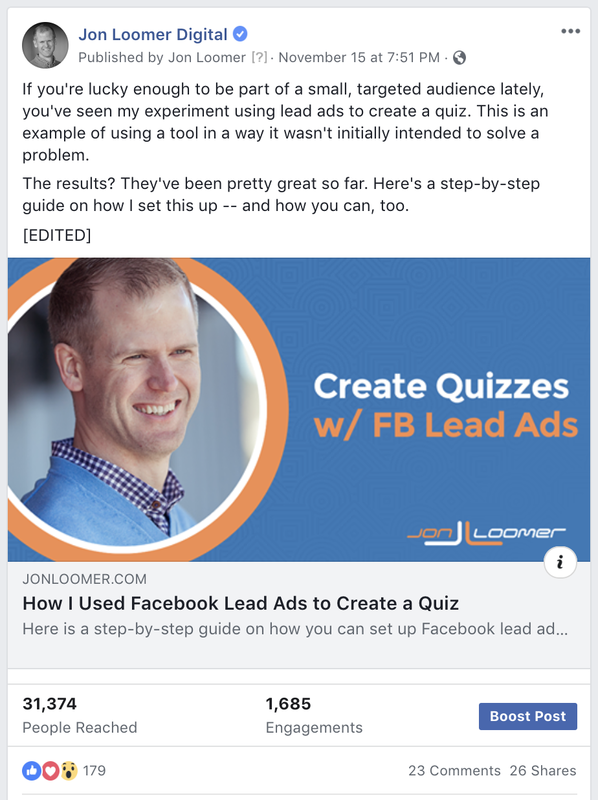 The post How to Edit a Facebook Ad and Retain Social Proof appeared first on Jon Loomer Digital.